Filmmaker Paul Thomas Anderson has made six near-perfect films in his brief time on this planet, the latest of which, The Master, may be his most confident and ambitious. If box office numbers are accurate, you probably missed it. That is a genuine shame, and one you can rectify immediately, as the three-time Oscar nominee hits DVD shelves today. 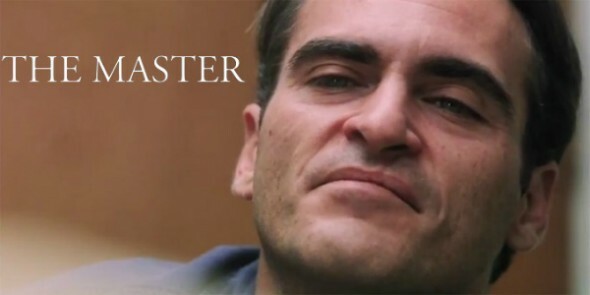 A seriously damaged WWII vet-turned-vagabond (Joaquin Phoenix, in an astonishing performance) stows away on a yacht. Its enigmatic commander (Philip Seymour Hoffman, incandescent as always) takes the boy under his wing, determined to use this vessel to prove his theories about the human mind – to himself, to the veteran, and to an increasingly hostile public. Phoenix is a tightly coiled spring of rage and emotion, so honest and raw as to make your jaw drop. He’s flanked on all sides by impressive turns, not the least of which is Hoffman’s perfectly nuanced megalomaniac. His presence provides the counterbalance to Phoenix that allows Anderson to explore core American ideas of freedom versus security, submission versus power, self determination versus subservience. It’s a challenging but awe-inspiring film that proves Anderson the true master. All of Anderson’s films demand to be seen, including his 1996 debut feature Hard Eight (aka Sydney) a sly piece of film noir that foreshadows some of the themes he would revisit in The Master. Set on the outskirts of Las Vegas, Hard Eight follows an accomplished gambler (Phillip Baker Hall)who takes a down and outer (John C. Reilly) under his wing. Also featuring Gwyneth Paltrow and a mesmerizing performance from Samuel L. Jackson in a pivotal role, Hard Eight is a raw but impressive beginning for a true visionary. Really, Paul’s genius should be no surprise. After all, he’s the son of Ernie Anderson, aka “Ghoulardi” from Cleveland TV in the mid-1960s, so his rise to America’s finest filmmaker was just a matter of time.